Welcome to Sublimity Medical Clinic, Part of Santiam Hospital. When it comes to your family and your health care, we understand how important it is to find the right medical provider. We are committed to lifelong exceptional care provided to you and your family. Sublimity's primary care clinic is a state-certified, Patient Centered Primary Care Home( PCPCH). As a result the staff and the medical providers emphasize care coordination and communication. Ultimately primary care centers around the medical needs of our patients. It is our goal for you to live a healthy, vibrant, and well balanced life. We know you'll be well cared for by our excellent staff. First-time parents encounter many new experiences as their infants grow and develop. To differentiate what’s normal from conditions which may demand specialized care, it’s helpful for mothers and fathers to know what to expect during a child’s first months. For instance, one potentially upsetting yet routine aspect of infancy is The Period of PURPLE Crying®. Below is a brief guide to the topic. The Period of PURPLE Crying is a phrase developed by Dr. Ronald Barr, a specialized care provider of developmental pediatrics. Dr. Barr, who has perhaps studied infant crying more than any professional in the world, determined there is a period beginning at about two weeks of age and continuing until the baby is roughly three months of age in which crying intensifies. 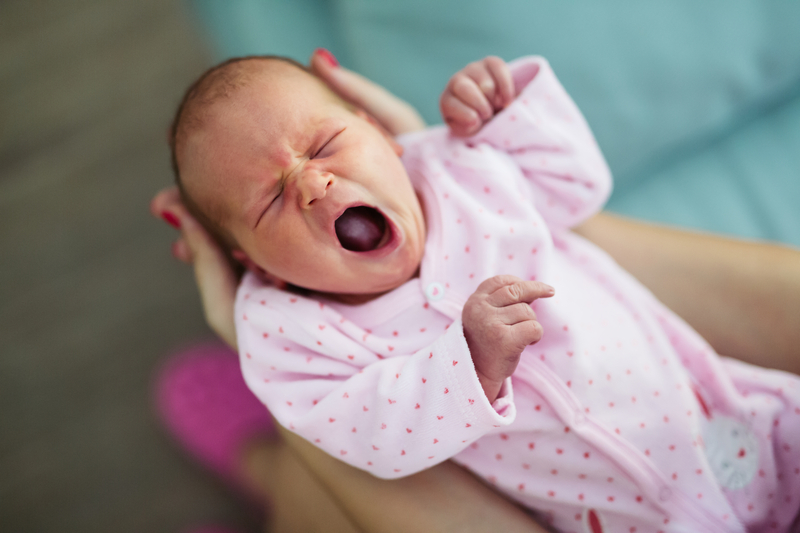 While the term “colic” was once used to describe the phase, the moniker seemed to imply something was wrong with the baby. The intensified crying is normal and occurs in all breastfeeding mammals. PURPLE is an acronym, with each letter representing a specific characteristic. P is for “peak of crying,” as it is during this time when your baby will do so the most. The crying is also unexpected (U) and the baby may resist soothing (R), despite any efforts to calm them. The next P stands for “pain-like face,” as babies going through this phase may look as if they’re experiencing discomfort even if they’re not. The crying is also long-lasting (L) and can take place for upwards of five hours of the day, with the most occurring during the evening (E) hours. Certain tactics have proven useful in soothing crying babies, including changing their position, repeating a lullaby or string of words, using a white noise machine, or holding your infant. However, such techniques may only work some of the time, or not at all. Specialized care providers encourage parents to accept that their little ones are not abnormal if they continue to cry in spite of these efforts. If there is any concern for illness, have a pediatrician assess your baby, especially if they exhibit symptoms like diarrhea or fever. If you’re expecting a child and need a team of specialized care providers to oversee the wellness of your baby during and after delivery, turn to the caring family birth center at Santiam Hospital. Serving the Mid-Willamette Valley community, OR, this health care facility also provides comprehensive services, including emergency treatment and surgical procedures, as well as primary care. Learn about how they can assist by visiting the website or calling (503) 769-2175 today.